This year had many Common Alerting Protocol (CAP) message aggregation organizations present their stories in complementing the delivery of early warnings. 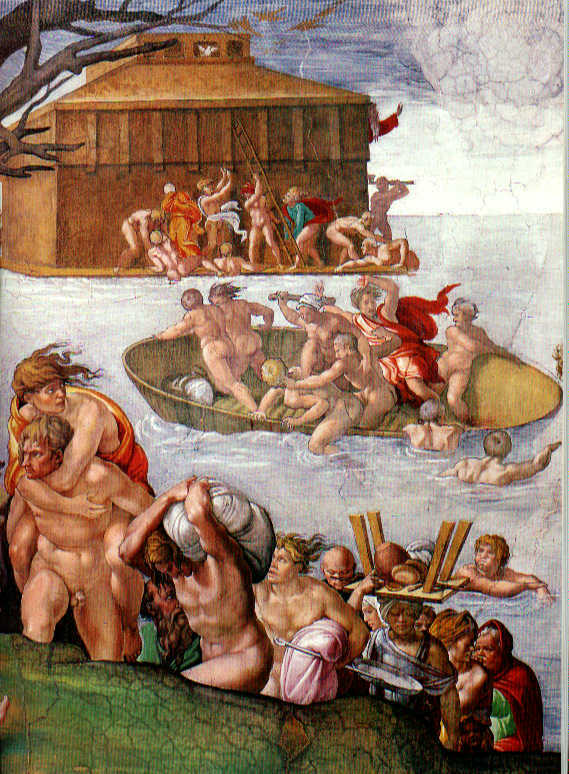 Everyone is mostly interested in doing public warning. Sahana Alerting and Messaging Broker (SAMBRO) was the only solution that addressed Restricted and Private alerting in support of multi-agency situational-awareness. Google.org, Meteoalarm, the Weather Company, Federation of Internet Alerting, AccuWeather, were some of the highlights. A common trait they all shared was demanding for more features (or information or capabilities) in CAP for effectively rendering and stylistically presenting the warning messages for the consumers; namely the public. We also heard from Environmental Canada as to how they have taken on the responsibility of developing presentation layers for the rendering agents like TV, Radio, Web, etc; rather than relying on the rendering agents to develop their own. It is intuitive, because rendering agencies do not master in the knowledge of the Alerting Authorities. SAMBRO follows a similar doctrine. “The beauty of CAP is in its conciseness and consistency”, a fact that OASIS was stressing. Bending CAP data structure is not the solution but some ingenuity to deliver effective presentations is preferred. The CAP Implementation Workshop was hosted by the Istituto Superiore Antincendi (also known as the Italian Fire Corp Academy), in Rome, Italy, 22-24 September 2015. The workshop presentations are hosted online: click to access all the workshop presentations. Besides the workshop, it was a delight to experience old and new Rome, a city that once was prone to major floods that is now resilient to such threats. IFRC has developed a suite of Global Preparedness Center Mobile Apps. National societies can customize these apps. Not only to display and function in the National language but also to configure it to the country context. Those who know the history of Sahanaa are aware that the IFRC Resource Management System, adopted by societies worldwide, is a solution of Sahana Eden. The IFRC Emergency App (mobile app) is responsive to CAP feeds. The IFRC Resource Management System is equipped to issue alerts and receive incident reports. However, it is not CAP compliant. I was surprised to learn that the IFRC mobile apps were not integrated with the IFRC Resource Management System. I suppose it is different societies doing different things. Nevertheless, SAMBRO is building itself to serve as a CAP feed aggregator that can be integrated with those mobile apps. Kenya has done a remarkable job with developing a matrix that relates the severity, certainty, and urgency with the impact and probability of the event. However, the matrix has some more working. The classification takes into consideration the time-to-impact, event type, and the intensity of the weather conditions. However, the impact is specific to the geographic location and the environmental conditions and not the severity of the hazard event. Other presenters stressed on the same; thus, emphasizing that CAP messages should carry the impact with an interest in warning people to be responsive. The Italians area quite ahead of everyone else when it comes to adopting the Emergency Data Exchange Language (EDXL) suite of standards. 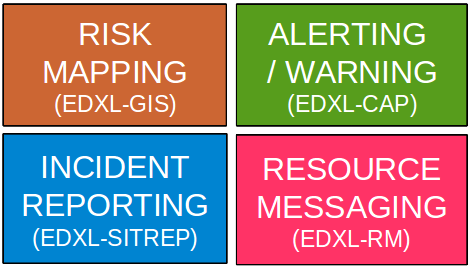 They have gone beyond EDXL-CAP to integrate EDXL-SITREP and EDXL-RM. They admit that CAP is easy compared to the other standards to implement. SAMBRO has the same vision. It envisions providing comprehensive solution that provides a solution starting from risk mapping to alerting to incident management and resource management. It was not just a Sahana vision but also a request that came from several SAMBRO adopters. It is our mission to bring the CAP Implementation Workshop to Thailand. Thereby, we are able to alternate from hosting the workshop in the West (Americas and Europe) and the East (Asia). The 2014 workshop was in Sri Lanka. Hosting the 2016 event in Thailand would help promote CAP in the Asia Pacific Region. Links to Final Report, Presentations, and List of Participants. Nuwan – Thanks for the summary. It sounds like another great workshop. I think that you meant September 2015 in Rome and not 2014?